The Nethersole School of Nursing at The Chinese University of Hong Kong (CUHK) conducted a research between 2011 and 2013 on the quality of sleep of patients with diabetes mellitus type 2 and the feasibility and effectiveness of auriculotherapy on improving the patients’ sleep quality and glycemic control. Findings showed that about 60% of the respondents suffered poor sleep which was significantly related to poor glycaemic control. The study also showed that auriculotherapy is a feasible treatment for diabetic patients which helped improve their sleep quality and glycemic control. Diabetes mellitus, or simply diabetes, is a common chronic disease in Hong Kong that cannot be cured. The primary aim of diabetes treatment is to maintain an optimal blood glucose level of the patient. 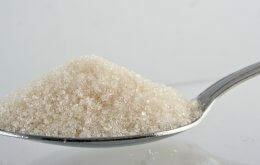 Recent researches have shown that poor sleep quality could adversely affect the glycemic control of diabetic patients. Auriculotherapy, a form of acupuncture to the ear, is often applied in traditional Chinese medicine to stimulate acupoints which correspond to the concerned bodily system in order to improve sleep quality. Researchers in the Nethersole School of Nursing at CUHK therefore conducted a research to evaluate its feasibility and effectiveness in promoting better sleep of the diabetic patients and hence improving their glycemic control. The two-phase research first assessed the sleep quality of 548 diabetic patients with questionnaires. About 60% of them reported poor sleep. Their average hemoglobin A1c level (blood glucose level) was 7.49%, much higher than the optimum level for diabetic patients (6.5%) and that for normal person (4 – 5.9%). The second phase of the research evaluated the feasibility and effectiveness of auriculotherapy on improving sleep quality and glycemic control of diabetic patients. A total of 60 randomly chosen patients suffering poor sleep were evenly divided into two groups – the group receiving auriculotherapy and the control group. Results showed that the mean sleep quality index has significantly improved among the participants after receiving a 3-month auriculotherapy. A total of 20% even reported complete recovery from sleep disturbance. The average blood glucose level of auriculotherapy recipients also dropped by 0.2%, whereas the level of those in the control group remained unchanged. The auriculotherapy recipients were satisfactory about the treatment and there was no serious side effect, suggesting the high potential of including auriculotherapy in the existing disease management for diabetes.